I recently shared on my Instagram that a monochromatic look has to be my favorite look of all! Why? Because dressing in one color looks more put together, chic and stylish to me. I feel more polished, especially if I am wearing all black or all white. This look is one of my favorites from 2018. 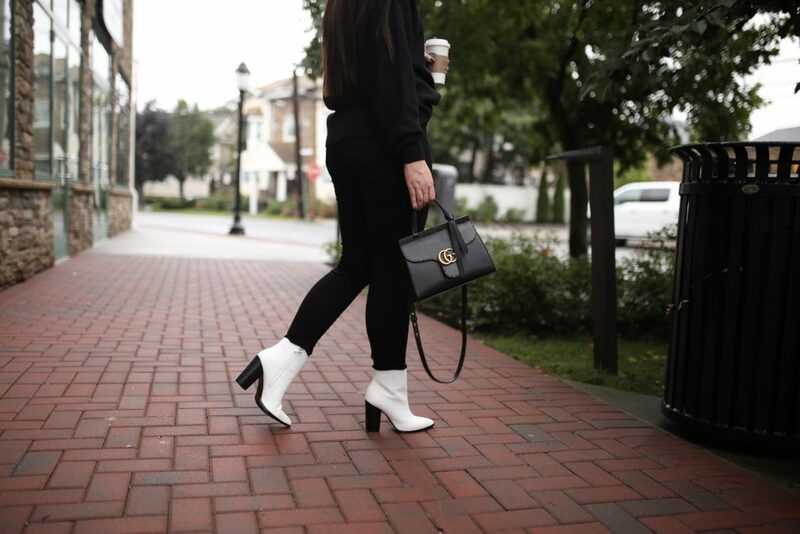 I was in New York when I shot this look, and I really wanted to share it with you all because I love the all black, with the pop of white booties! My Free People sweater is one of my favorite turtlenecks for the fall/winter time. It is great on it’s on, but it is also a great layering piece! Also, it happens to be in my favorite color: black of course. But it also comes in 5 colors total, so if you aren’t in to dark tones, there are a few other colors to pick from that are just as beautiful! My jeans are by Parker Smith Denim, and these are my favorite pair of denim that I own. I love black jeans (until they fade into that awful grey color, but these haven’t done that thankfully). I can tell that they are such a great quality, and they fit great! They are called the BombShell Skinny, and I highly recommend them! 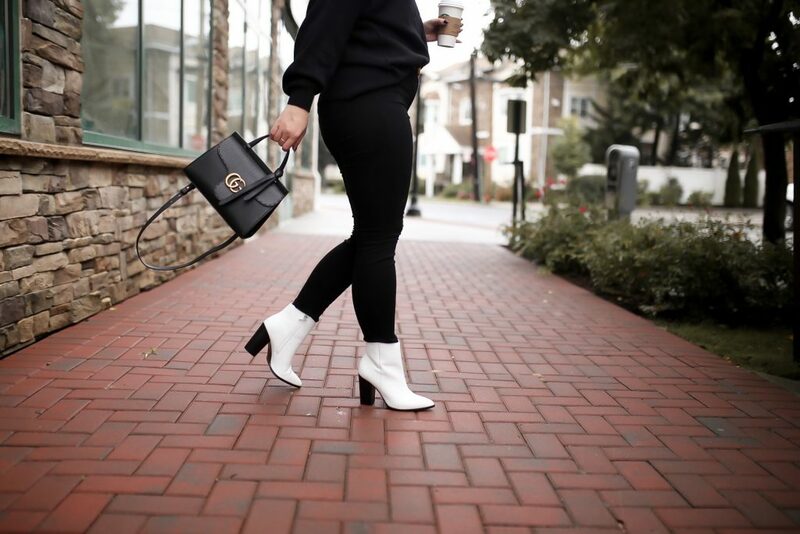 My white booties are by Halogen and they have been one of my favorite trends this season! 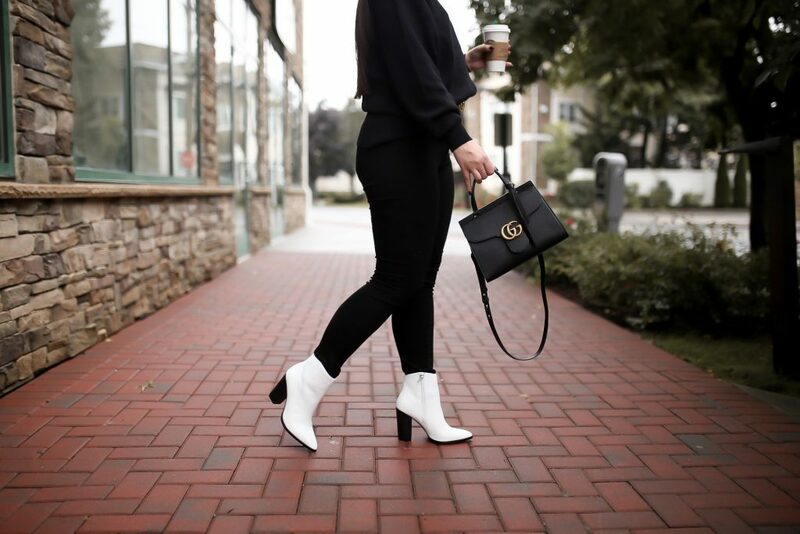 I love how they add a pop to any outfit because white is a more unexpected color for shoes. Also, these are currently 60% off and under $50! They come in 3 other colors, but I highly recommend the white! I hope you all had a wonderful Monday and have a great rest of your week!